CHITA, August 28. /TASS/. A military echelon attacked by unidentified assailants overnight to August 21 at a railway station in the Trans-Baikal Region in East Siberia was redeploying troops of Russia’s Central Military District for the Vostok-2018 drills, a source in the regional emergency services told TASS on Tuesday. “This was an echelon of the Central Military District, which was redeploying servicemen to a training range near Chita for the Vostok-2018 drills. An investigation is underway to probe all the circumstances that led to the incident in the Trans-Baikal Region,” the source said. A source in the Eastern Military District confirmed that the echelon had been dispatched by that district. The administration of the town of Petrovsk-Zabaikalsky on whose territory the railway station is located specified that the dead attacker born in 1989 was linked with criminal structures. On the day of the incident, he was celebrating his birthday at a cafe near the railway station. 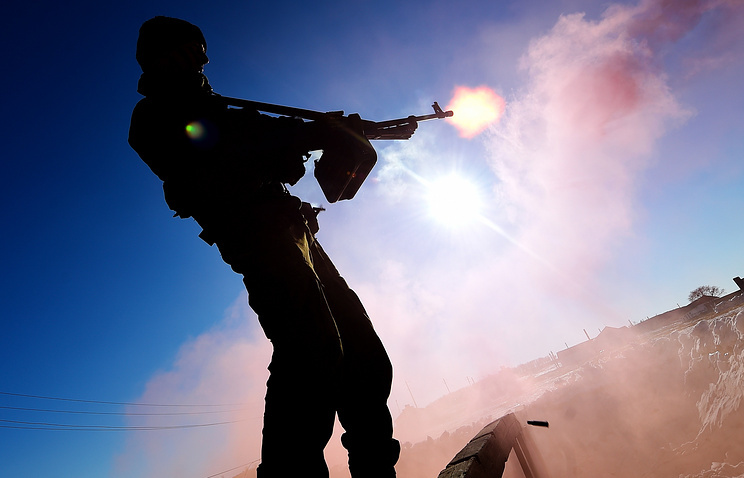 According to regional media outlets, as a result of the conflict, two soldiers were wounded. The Vostok-2018 drills will be held on September 11-15 and will be the largest event of the troops’ combat training. The maneuvers have an international status and will involve troops of Russia’s Eastern and Central Military Districts, the forces of the Northern Fleet, all units and formations of the Airborne Force, long-range and military transport aircraft, and also units of China and Mongolia at one of the drills’ stages. Hey Buddy!, I found this information for you: "Military echelon attacked in East Siberia was en route for Vostok-2018 drills — source". Here is the website link: https://russophile.org/military-echelon-attacked-in-east-siberia-was-en-route-for-vostok-2018-drills-source/. Thank you.